DO-11500-10 was succesfully added to your cart. Marble slab reduces vibration and shock — ideal for spaces where tables won't fit. Measures 20"L x 13"W x 2"H (50.8 x 33 x 5.1 cm). What is the normal shipping time for this product. Is it stock? As the fabricator of this slab, we would like to correct the above answer. Our standard lead time is approximately 10 - 14 days, although our week long company shutdown must be considered when ordering around July 4th or Christmas week. This unit is not in stock. The average shipping time is approximately 4 weeks. Is this slab equipped with rubber vibration absorbers? These items are shipped with 4 vibration dampening pads for optional installation, if desired. As the fabricator of this product, we would like to correct the above answer. The slab's actual weight is approximately 55 lbs. The weight is approximately 70 lbs. 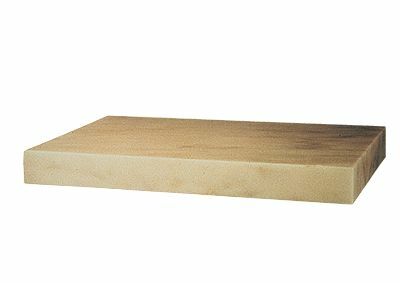 This marble slab would work well in a shop or area where sanitization is not required. I purchased this for an ISO 8 compounding room and I won't be able to use it. Merchant response: We are sorry to hear of your disappointment with this item. If you are not happy with your purchase for any reason, please let us know how we can make it right. Description was not very descriptive. We would have preferred getting a polished surface, one that was conducive for our production rooms. Merchant response: Cole-Parmer does not have any form of restocking fee, if you are not satisfied with your purchase please contact us.